BA., Dip Teaching, Cert. Ontological Coaching, Cert. 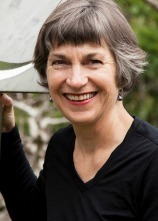 in Celebrant Studies, Accredited Member of CANZ, Director Inspirita Dance. Kerry-Ann was amongst the inaugural intake of students into the Certificate of Celebrant Studies, which was the first training programme in the world for civil celebrants. She has worked as a Celebrant since 1998 and has been a key lecturer at The Celebrant School for some years. She is also a coach, a teacher and a dance guide. She has been working with groups since she was in her teens and is known as an empathetic leader, an enthusiastic teacher and a caring motivator. Kerry-Ann offers herself as a lecturer on this programme from a place of deep awareness of the privilege of being a Celebrant.